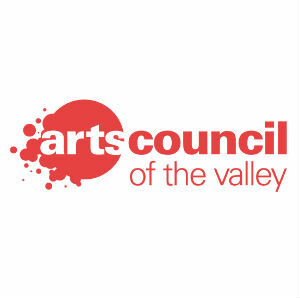 Arts Council of the Valley announced the release of its Advancing the Arts spring cycle grant applications, due March 12th, 2018. ACV’s Advancing the Arts grant program supports artists, art educators, and organizations working in the visual, performing, and literary arts. Funds are awarded to those that advocate for the arts as a basic, central part of lifelong learning in the Harrisonburg-Rockingham County community. Advancing the Arts grants are awarded in two categories, Arts for Education (AE) and Creative Inspiration (CI). AE grants are intended to help community artists, organizations, and art educators pursue a creative educational initiative. CI grants are intended to help community artists and organizations pursue creative professional development. Candidates for both grant types may submit funding requests ranging from $250 to $1,000; ACV does not require matching project funds for grant submissions. Awardees may receive one grant per calendar year. Advancing the Arts grants are awarded in two cycles, fall and spring. Applications for the spring 2018 cycle are due March 12th, 2018 by 5:00pm. Completed applications must be submitted electronically in PDF form; hard copy applications will not be considered. The Arts Council will be hosting two grant information sessions to aid potential applicants through the process. Sessions will be held on Monday, February 12th at 5:30pm at ACV’s Smith House Galleries and Monday, February 26th at 3:00pm at The Golden Pony. For more information and to view application materials, visit valleyarts.org/advancing-the-arts-grants. Arts Council of the Valley is located at 311 South Main Street in Downtown Harrisonburg, Virginia.